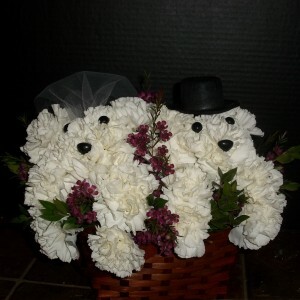 Another Puppy Power arrangement,perfect for showers,anniversaries,or just fun gifts. 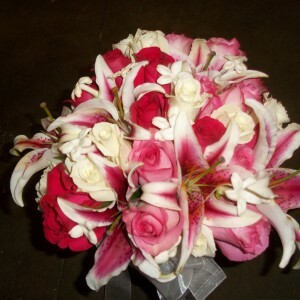 Available in assortment of flowers and sizes. 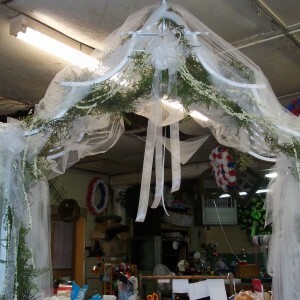 Please visit us for your personalized quote. Beautiful, understated elegance, cluster style bouquet with hydrangea, delphinium mini carnations and roses make a splendid, stunning display. Brand new available for rental now. Contact us for price and details. 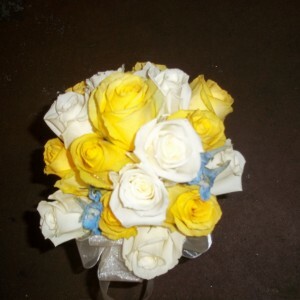 Handheld cluster bouquet of roses for brides or bridesmaids. Available in different color combinations. 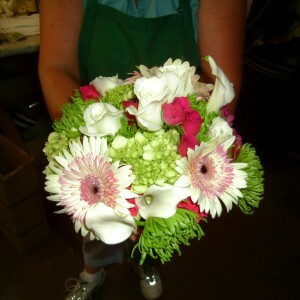 Cluster style mini calla lilies, green spiders, gerbers, and roses for a cool look . 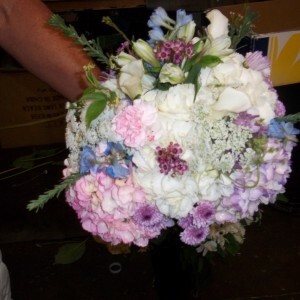 Cluster style hand held bridal and bridesmaid bouquets. 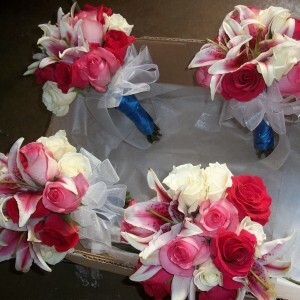 Available in your colors and your choice of flowers. 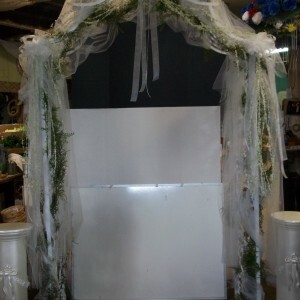 Call or stop by for personalized quote.